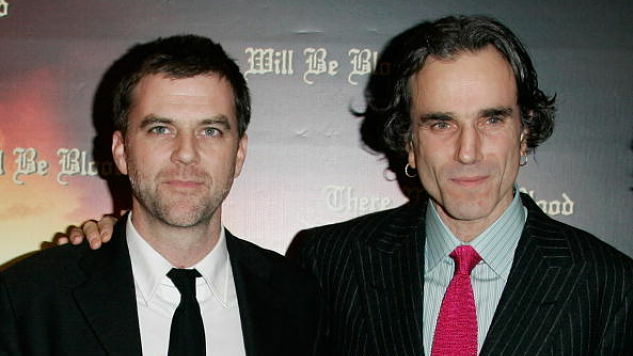 The moment it was announced that Paul Thomas Anderson and Daniel Day-Lewis would reprise their creative partnership from There Will Be Blood—which is widely cited as one of the greatest films of the 21st century thus far, if not of all time—moviegoers everywhere were thrown into a frenzy of excitement. When a bidding war at last year’s Toronto Film Festival resulted in the film, which will be set in the 1950s London fashion scene, being picked up by Focus Features for $35 million, the reality that the project was well underway started to sink in. As critics released their Most Anticipated Films of 2017 lists at the end of 2016, Anderson’s movie kept popping up, topping more than one list. Now, a few more snippets of information have been released to help further stoke our anticipation. For one thing, the film is said to have a working title: Phantom Thread, a phrase that photographer Glenn Kilpatrick spotted on various vans and signs while snapping pictures of Anderson’s film shoot in Whitby, a seaside town in Yorkshire, Northern England. Also coming courtesy of Kilpatrick’s photography website Whitby Photography are several set photos from the forthcoming film, many of which show Day-Lewis and co-star Lesley Manville (Another Year, Maleficent) pacing through a cemetery under an overcast sky. In other words, there’s very little of the glam and glitz often associated with the fashion industry, but we would need more details to make any remotely informed guess as to how Anderson might approach depicting his film’s period milieu. Check out the photos here, and don’t worry if you fail to contain your excitement. You’re not alone.